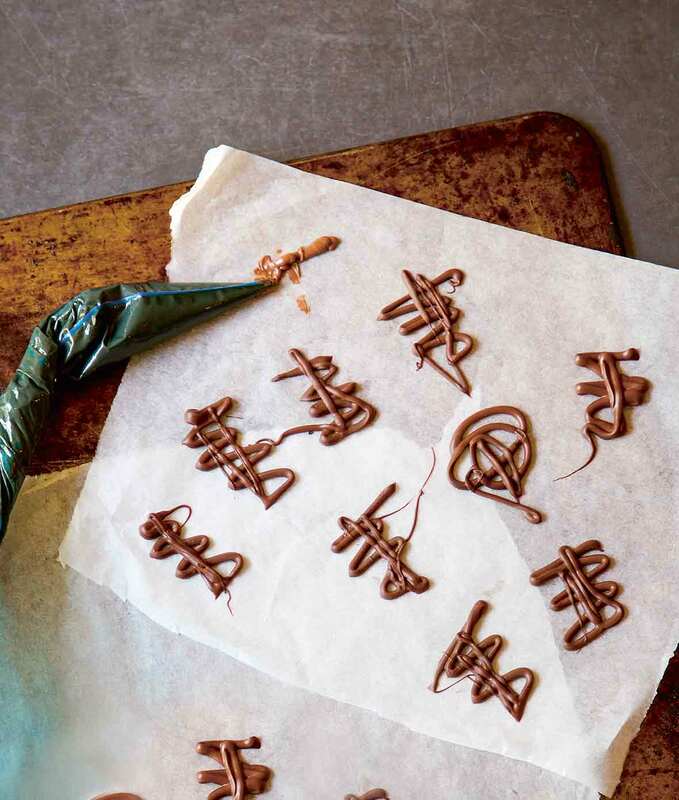 How to decorate with melted chocolate explains how to make and use chocolate for piping and drizzling decorations and letters and squiggles on cakes and cookies and whatever you fancy. *What Type Of Chocolate Works Best For Decorating? For the smoothest and most well-behaved melted chocolate for decorating, seek out “couverture chocolate,” which contains more cocoa butter than other types of chocolate. It’s easier to handle than regular chocolate and may be a good option for you if you’re new to chocolate decorating or you’re the impatient sort. Otherwise, almost any dark, semisweet, or milk chocolate will work adequately for most decorating purposes. If you really want to go all out and decorate with chocolate that firms and becomes glossy and sufficiently sturdy to stand upright, use tempered chocolate. Be forewarned that white chocolate is rather fragile and is typically not recommended for decorating. 1. Chop the chocolate into small, even pieces. If using a microwave to melt the chocolate, place the chocolate in a heatproof bowl and microwave on 50% power in 15-second bursts, stirring after each burst to make sure the chocolate doesn’t burn, until melted and smooth. The exact timing will vary depending on the amount of chocolate and the wattage of your microwave but will probably take around 1 1/2 minutes. (You want to be certain that the bowl and implement you use to stir the chocolate are completely dry. The introduction of any water into the chocolate will cause it to seize and not melt properly.) If using a pan on the stovetop to melt the chocolate, place the chocolate in a heatproof bowl placed over but not touching a pan of simmering water and wait, stirring occasionally to make sure the chocolate doesn’t burn, until the chocolate is melted and smooth. (You want to be certain that the bowl and implement you use to stir the chocolate are completely dry and that no steam or water from the pan comes into contact with the chocolate. The introduction of any water into the chocolate will cause it to seize and not melt properly.) Remove the pan from the heat. 3. Transfer everything to the refrigerator until the chocolate hardens, 10 to 20 minutes. 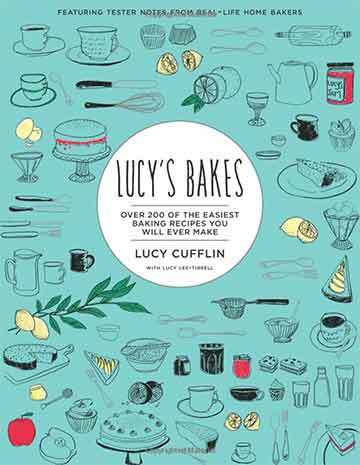 How To Decorate With Melted Chocolate Recipe © 2015 Lucy Cufflin. Photo © 2015 Jacqui Melville. All rights reserved. All recipes and photos used with permission of the publisher.